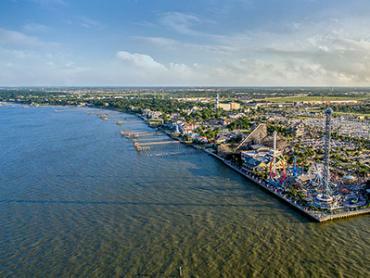 The city of Baytown is located 25 miles east of Houston, right on the northern tip of the Galveston complex. This has given Baytown fishing a reputation for fantastic inshore fishing, right up there with Galveston itself. Not only that, but the sprawling Baytown Nature Center is a must-see if you’re interested in the local wildlife. Home to more than 300 species of birds, it’s the perfect option for a family field trip. 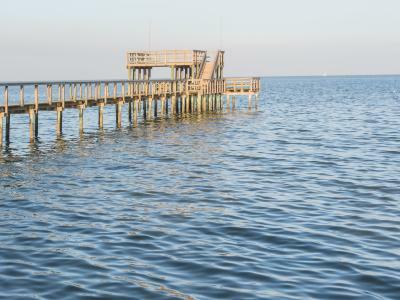 Loaded with both natural shell reefs as well as a variety of manmade fish-holding features, the Baytown area is praised as one of the best all-round inshore fisheries this side of Texas. There’s also plenty to do in the Gulf of Mexico itself, so you’re practically spoiled for choice. 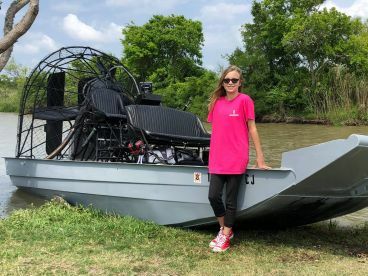 The best way to enjoy a day off is to go fishing in the morning and then head up to the Houston Raceway for a different kind of adrenaline-pumping action. 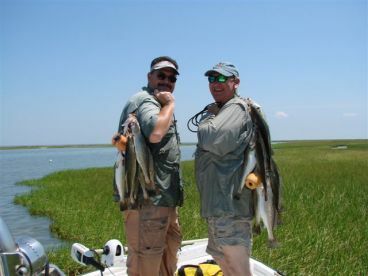 The opulent marshes and bayous of the Trinity Bay complex serve as an ideal backdrop for a wide range of seasonal fishing to flourish, ensuring both novice and veteran anglers alike have something to look forward to. 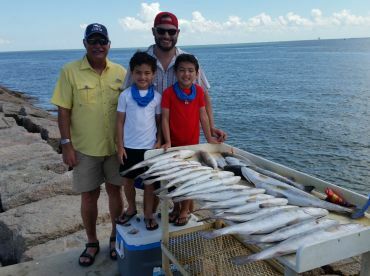 Although each month brings something new and distinct to the sportfishing table, Baytown fishing is primarily known for its prolific fall and winter seasons–dominated by everyone’s favorite bruisers such as Redfish and Speckled Trout. There’s a number of ways one can go about exploiting the local waterways. These include wading the flats, as well as working the game-laden pipe stands, wrecks, and production wells. You can also just ‘fish the birds,’ as they often have a tendency of acting as personal fish finders to the patient Baytown angler. And while the winter Reds may certainly top the local fishing calendars, it would be unfair to make light of the summer bite. 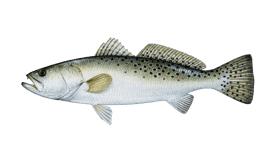 After all, it’s when limiting on the likes of Flounder, Sand Trout, Croakers and many others is considered anything but uncommon! If you’ve never been Flounder gigging before, be sure to give it a shot on a warm summer evening. It’s a fishing experience that’s closer to proper hunting and it’s fun for the whole family. 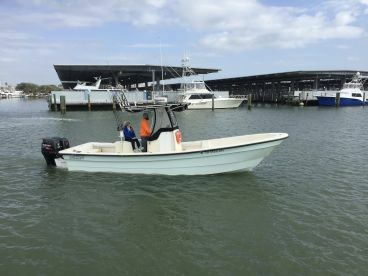 The reason why offshore fishing is not as represented in Baytown as much as it should be is simple:captains from Baytown find it easier to run trips from Galveston when heading into the deeper waters. Regardless of the exact departure point, the Gulf of Mexico is the main destination. 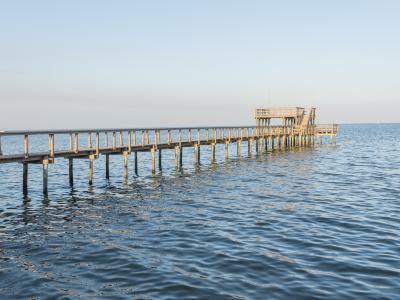 In this part of the Gulf, you’ll need to be at least 20 miles away from the coastline to be find the best fishing. At these shorter distances, you’ll find plenty of Cobia, Kingfish, and Sharks ready to take the bait. If you manage to find a shrimp boat, all the better! For the more ambitious anglers out there, a 60-mile trip is where you’ll find the likes of Blackfin Tuna and different Billfish like Marlin and Sailfish. Keep in mind that this will usually involve an overnight trip so you have enough time to get there, do a bunch of fishing, and go back. The best time to go on this kind of adventure is from July until October. You can also do it in the winter, but brace yourself for choppier waters and longer runs. 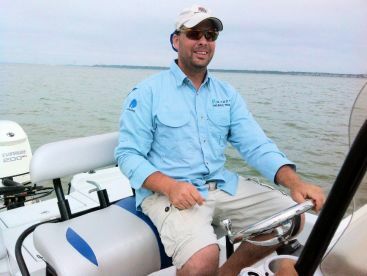 Anglers over the age of 16 will need a valid fishing license to legally fish in Texan waters. Please note that this also applies to anglers who hire a charter service for the day. Fortunately, you can easily buy a One-Day Fishing License online for the occasion. The price of an average inshore trip runs at around $100 per hour. It can go lower (or higher) than that depending on the type of boat you’ll be on and its capacity. Offshore trips are the same, with the important addition of fuel costs that aren’t included in the asking rate. These can be an extra $300-$500 charge, depending on the distance covered. 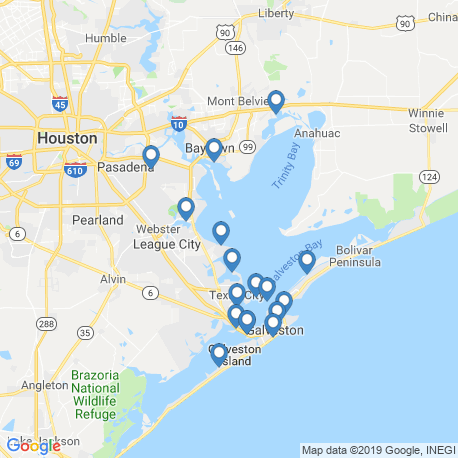 Baytown is a short distance away from Houston and is easily reachable by car. If you’re coming from Louisiana, just take the I-10 and you’ll be there in no time. 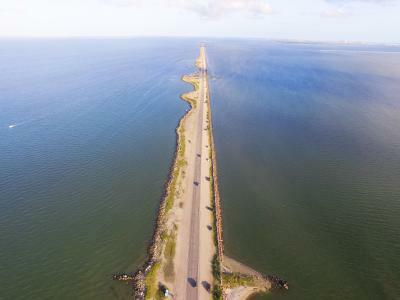 From fishing to motor races and wildlife preserves, Baytown’s got it all. You can have yourself a fun day of fishing at any time of the year, so come on down for a well-deserved vacation. Not interested in lounging around? Spend a full day in the deep blue and go after the big ones! 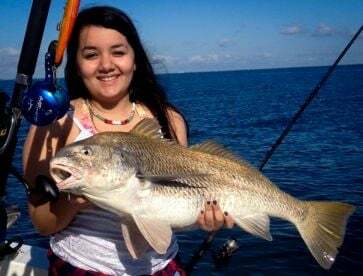 While Baytown is known to be windy and rainy this time of year, you can still do some great fishing for Redfish and Black Drum when the weather is clear. 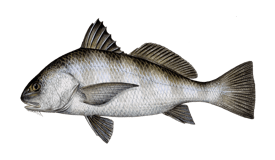 Heading south to fish the jetties for Black Drum and Sheepshead is a great idea if you’re looking to catch some tasty fish in February. Spring Break is on the horizon and the fishing is slowly heating up. Checking out the marshes for Redfish is a good idea whenever it’s too windy for comfort. Tuna fishing starts to get good this time of year. Going on a long trip to the Gulf of Mexico is an adventure with great payoff if you play your cards right. May makes for clear skies and warm waters. Should you decide to try something else apart from the excellent Red Drum fishing, give Sharks a go! Red Snapper season is on! This is one of the best times to be fishing from Baytown for any angler interested in delicious bottom feeders. Summer is time for diverse fishing in this part of Texas. Whether it’s offshore trolling for pelagics, Flounder gigging, or just stalking Redfish in the bay, you’ll have a blast! 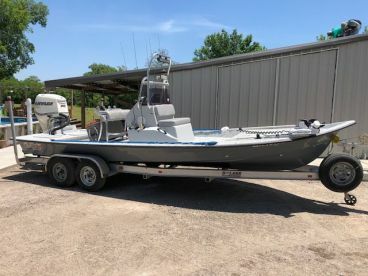 This is your last chance to go fishing when the offshore bite is hottest. 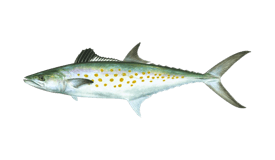 Bear in mind that Kingfish can be found pretty close to Galveston at this time of year. The temperatures will slowly start dropping in September, but you can rest easy. 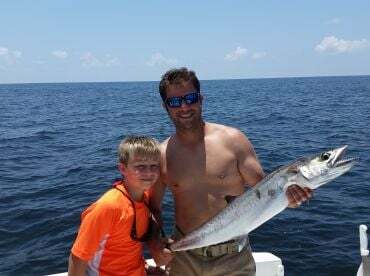 The Blackfin bite is on fire, and deep sea fishing trips are all the rage. 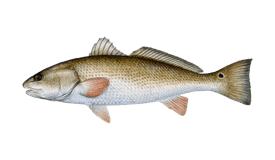 It’s spawning time for Trout and Redfish, which means you’ll be able to find a whole lot of them in Trinity and Galveston Bay. Flounder Gigging season is about to end, so be sure to give it a try while you still can. Specks and Reds will start dominating the marshland through winter. The best time to do some sight casting is during winter, when the waters are as clear as they can be. It’s a great way to test your finesse and fishing skills. "Half day trip with Captain David"
Get an experienced guide like Captain David. Weather can change quickly so be prepared. "Great day trip with Cpt Terry!" Great weather and plenty of fish this time of year! "Rainy Labor Day Trip With Captain David"
Book Captain David Rappelet, you won’t be disappointed!